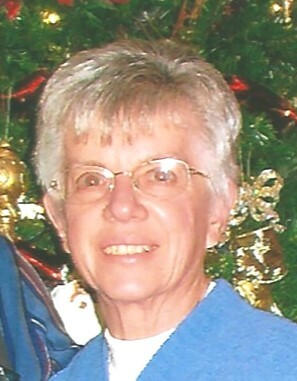 Janet Jean Hoyt, 81, of Plymouth, IL died at 4:20 pm Monday April 1, 2019 at Blessing Hospital in Quincy, IL. She was born on September 8, 1937 in Macomb, IL to Eugene and Frances McDaniel Winters. Janet was a homemaker. She was a 1955 graduate of Plymouth High School and attended Burlington Beauty Academy in Burlington IA. She was a member of the First Baptist Church of Plymouth. Janet enjoyed being in the outdoors and traveling and loved animals of all kinds. She is survived by 2 brothers, Rick Winters of Macomb, IL and Randy (Karen) Winters of Plymouth, IL, a nephew; Jordan Winters of Colchester, IL, a niece; Jessalynn Winters of Macomb, IL and a great niece, Madison Winters. Graveside services will be held at 11:00 am Friday April 5, 2019 at Rosemont cemetery in Plymouth with Pastor Jerry Taylor officiating. There will be no visitation but friends and family are welcome to attend the graveside service. Memorials may be made to the First Baptist Church of Plymouth.